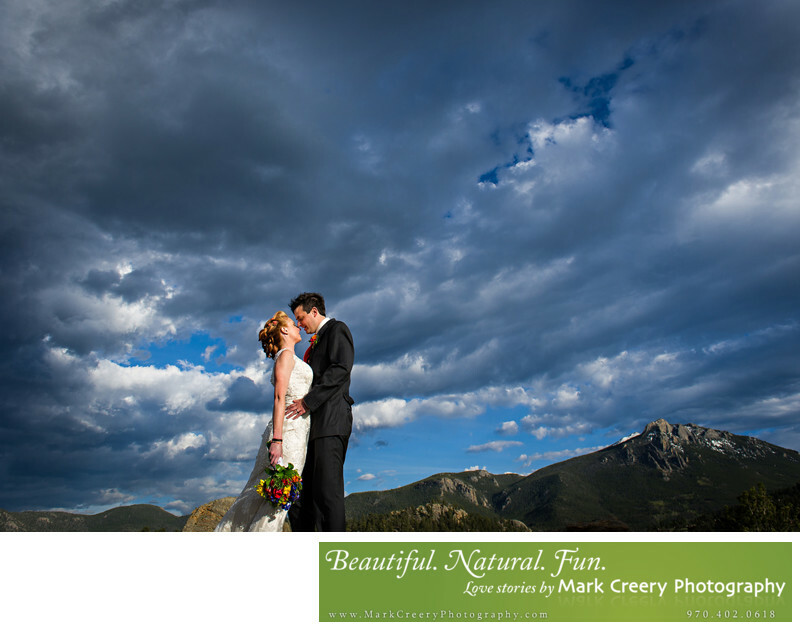 If you're looking for wedding photographers in Colorado, Mark Creery Photography is a leading studio that captures the amazing scenery that Colorado has to offer while still showcasing your personalities. He has traveled throughout the state, including Denver, Boulder, Fort Collins, Colorado Springs, Breckenridge, Estes Park, Steamboat Springs, Beaver Creek and more. This wedding photo was taken near Taharaa Mountain Lodge in Estes Park and shows off dramatic lighting and the mountain scenery while the couple pops off the background. Location: Taharaa Mountain Lodge, Estes Park, Colorado.